Trust a professional with 35 years of law enforcement experience. Need Help Finding the Truth in Lexington, Aiken or Columbia, SC? Whether you need private surveillance footage or help investigating insurance fraud, you can rely on the experts at Dukes Investigations & Consulting LLC to uncover the truth. We know how much you rely on our work. That's why we go the extra mile to get the whole story and to collect the needed details to back it up. When we give you a report, you can rest assured that our information is accurate and backed by solid evidence. Don't try to resolve your problem without the necessary information. Contact us today at 803-939-5155 to schedule a free consultation. We're available to assist you in both Lexington, Aiken and Columbia, SC. Adultry cases, divorce cases, child custody cases, family court investigations, child support investigations... Don't face these alone. Call a P.I. who has years of experience. When considering hiring a private investigator, you should always hire a license, bonded, and insured investigator. This will ensure that you are getting correct and accurate information. Most private investigators have prior law enforcement experience and this is also important to your investigation. The experience of the investigator- and being licensed, bonded, and insured- is utmost importance for you to get an accurate and thorough investigation. 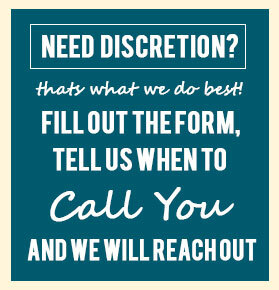 Don't settle for anything less than the best when it comes to your private investigator. Contact Dukes Investigations & Consulting today to speak with one of our experts. We'll be happy to discuss our services in more detail. Why trust a private investigator with your case? No matter what kind of problem you're facing, you need accurate information to properly navigate the situation. When you turn to Dukes Investigations & Consulting, you'll receive the best investigative help available in Lexington, Aiken and Columbia, SC. Divorce, child custody investigations, adultry- we will get to the bottom of it. We'll get you the reliable information you need fast. Call us today at 803-727-9648 to schedule a free consultation.